Recent reports indicating that President Obama was aware of and personally approved an NSA program that involved spying on the personal communications of various international leaders, including German Chancellor Angela Merkel, have once again highlighted the deception and intransigence of the Obama administration in dealing with the revelations that the National Security Agency has been acting outside the bounds of the law, sucking up electronic communications the world over. Specifically, according to comments by an anonymous “high-level” NSA official to a German newspaper, President Barack Obama personally approved spying on the German Chancellor, Angela Merkel. These comments come despite claims made by the White House last week that Obama had no idea that the NSA had tapped her phone. The NSA has denied the reports that Obama was personally briefed on the Merkel spying operation in 2010, but did not indicate whether he may have learned about it via other means. According to a report by German newspaper Der Spiegel, the NSA had been spying on Merkel since 2002, before she was Chancellor and acting as an opposition leader. The NSA had also allegedly been spying on French and German citizens, an accusation which prompted both countries to demand an explanation from the United States about the purpose and reasoning behind the spying programs. The US spying on German communications was apparently conducted from the American embassy in Berlin. Whatever the exact truth of the matter, there are two possible scenarios. Either the President was fully aware of the extent of the NSA’s criminal activities, which violate both domestic and international law, and was willing to go along with them or the NSA has amassed so much power in Washington that it literally operates outside the chain of command and above the rule of law. In either case, we face a tyrannical force the likes of which have never been seen in the United States before. Of course, this global surveillance program should come as no surprise. Since September 11, 2001, the United States has spent over $500 billion on an intelligence community that, according to the Washington Post, constitutes an “espionage empire with resources and a reach beyond those of any adversary, sustained even now by spending that rivals or exceeds the levels at the height of the Cold War.” The CIA and NSA have both begun to engage in so-called “offensive cyber operations,” which involves hacking into foreign computer networks in order to either steal information or sabotage the network itself. In fact, the NSA has been conducting worldwide surveillance for quite some time. Echelon, a global electronic surveillance network that allows security agencies of Great Britain and the United States, as well as Canada, Australia and New Zealand, to collect and exploit intelligence collected worldwide, was developed by the NSA. Created in the heat of the Cold War, Echelon intercepts and analyzes virtually every phone call, fax and email message sent anywhere in the world. It does so by positioning “listening stations” (including land bases, satellites and ships sailing the seven seas) all over the globe to capture data, satellite, microwave, cellular and fiber-optic communications traffic. 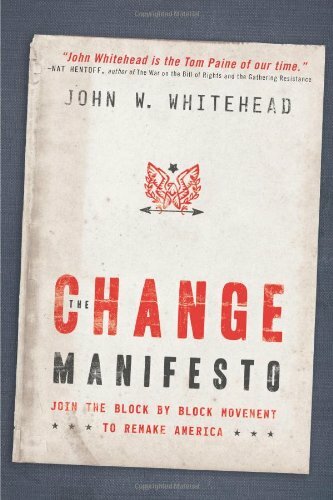 Although Echelon was originally established as an international spy system, suspicions arose at the dawn of the new millennium that The Change Manifesto: ... John W Whitehead Best Price: $1.59 Buy New $21.99 (as of 09:10 EDT - Details) its intelligence ambitions might have turned inward. A Congressional investigation determined that Echelon had not only turned inward, targeting such peaceful political groups as Amnesty International, Greenpeace and several Christian groups, but had actually broadened the scope of its mission to include political espionage. It also became a means of benefiting big business and advancing personal political agendas. For example, in March 2003, the British Observer asserted that the Bush Administration had used its Echelon satellite station in New Zealand to spy on council members from Angola, Bulgaria, Camaroon, Chile, Guinea and Pakistan in its effort to garner support for the impending war against Iraq. Contrary to Feinstein’s claims, the NSA is collecting personal information on every single person in the United States who uses a computer or phone. Ultimately, it comes down to whether you want an open, transparent and therefore free government or a closed, secretive, authoritarian regime. 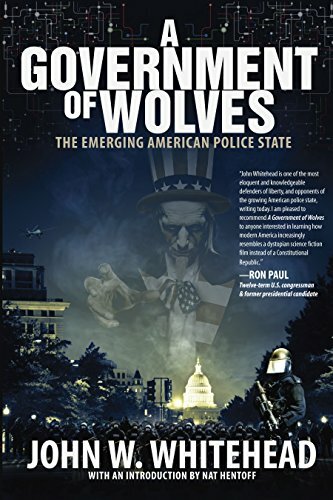 For those who claim to want open and free government, it’s time to restore the rightful balance in government and make it clear to our leaders that these spying programs are unacceptable and will not be tolerated. Remember, a true patriot is one who upholds the principles upon which his country was founded, not the power of those who have hijacked the nation.